This article describes a reference Date table in DAX using a Power BI template. The same technique can be used in Analysis Services models. Download the latest version of the template in the Dax Date Template page. It has a fixed set of rows. It does not handle fiscal years. It does not include weeks. It cannot be shared across different tables in the same data model. Usually, it is necessary to disable the feature and to create a custom Date table. This task is repetitive and time consuming. Creating new Power BI models starting from a Power BI template containing a fully-featured Date table spares the user from writing the required DAX expression – as well as in setting the necessary properties to define display format, hierarchies, and visibility of the columns required in reports and calculations. A file with a .PBIT extension is a Power BI template file, which does not contain data and imports / generates data when it is opened. Any Power BI file can be saved as a template file. All the tables included in the data model are saved as empty tables. They are populated when the template is opened, reading data from the data source. 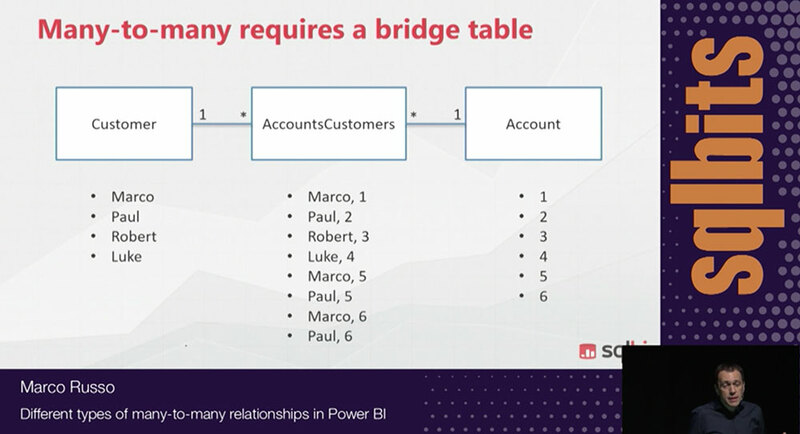 A common use of Power BI template files is to distribute a standard data model that can be connected to a data source with a certain parameter, changing the filters of the data loaded in memory. For the reference Date table, the Power BI template contains a calculated table that is populated when the file is opened. 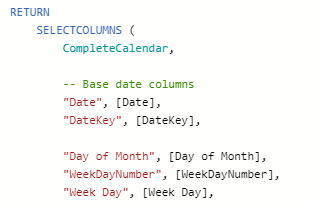 This way, the template file is smaller and can be used as an “empty” file to create a new data model in Power BI – starting with a standard Date table that will be connected to other tables containing date columns. Open the “Date template.pbit” file to create a new Power BI project. The model contains a single calculated table named Date. Date contains all the days that exist within a range of years defined by two configuration parameters – FirstYear, and LastYear. The final part of the DAX expression is a SELECTCOLUMN statement that includes all the columns used in the template. It is possible to customize the Date table by removing or commenting the unwanted columns from the SELECTCOLUMNS statement. The columns removed from the DAX calculated table are also removed from the Date table, removing related hierarchies too. It is suggested to remove the columns only as a final step. A column that is commented and then uncommented will appear in the Date table having lost any additional setting (hierarchy, visibility, format) that was previously applied. Power BI shows a limited number of rows in its editor. Use a tool like DAX Editor to modify the DAX expression of the Date table. Use copy and paste to move the code between Power BI and the external editor. Complete names with spaces (e.g. “Day of Month”) are visible columns. If the column is hidden, it is visible through a hierarchy level. 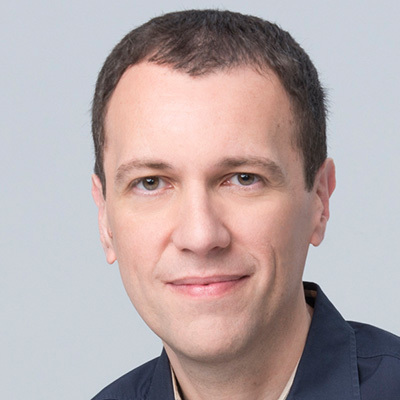 Names in Pascal casing (e.g. “WeekDayNumber”) are hidden columns used for internal calculation or used to sort other columns. The following examples are obtained and described using March 21, 2018 as a reference. Calendar YearWeekNumber: 6116 (Integer) – Sequential year number across years. A week always counts 7 days. When a week crosses over from December into January, same week number is used on both sides. The dates used as examples have been obtained using TodayReference = 1/23/2018 and FiscalCalendarFirstMonth = 9. Thus, Q1 is September-November, Q2 is December-February, and so on. The sample dates have been obtained with TodayReference = 1/23/2018, WeeklyType = Last, QuarterWeekType = 445, and FiscalCalendarFirstMonth = 9. The initial part of the DAX expression sets several variables. These variables define parameters used to generate the calendars. Defines the reference date (like a “current day”) in the model. If there is data up to 5 days before the reference date, it is possible to change the reference date in the model in order to properly set all the relative calculations of weeks/months/quarters/years. First year generated in the Date table. Can be assigned with a dynamic calculation reading the first year of data available in other tables. Last year generated in the Date table. If the data model is set up in a way that allows for future dates, it should be set reading the last year of data available in other tables. Used for Fiscal monthly (Gregorian) calendar and for Fiscal weekly calendar. If set to 1, the fiscal monthly calendar (Fiscal) is identical to the solar calendar (Calendar). However, the Fiscal weekly calendar (FW) always generates a different result even when this parameter is set to 1. Defines the first day of a week and defines when a week starts in a weekly calendar. US calendars typically use 0 (Sunday), whereas European calendars use 1 (Monday). Defines which country to use in order to set the holidays in the calendar as non-working days. Determines the end of the year definition for fiscal weekly calendar (FW). Reference for Last/Nearest definition on Wikipedia. Defines the number of weeks per period in each quarter. Quarters which always count 13 weeks in the Fiscal weekly calendar (FW). Defines to which type of calendar the year boundaries are applied during table’s generation. Using FiscalWeekly the first and last day of the year might not correspond to a first and last day of a month, respectively. Prefix used in columns of solar Gregorian calendar. Prefix used in columns of fiscal Gregorian calendar. Prefix used in columns of fiscal weekly calendar. Description used for working days (could be translated). Description used for non-working days (could be translated). Use Weekly to automatically generate fiscal weekly calendar based on FiscalCalendarFirstMonth, FirstDayOfWeek, and WeeklyType. Use Custom to define arbitrary range of dates for each year defined in CustomFiscalPeriods. Defines the working days of a week, Monday to Friday by default (0 = Sunday, 6 = Saturday). The definition should use the DATATABLE syntax. Use CustomFiscalPeriods in case you need arbitrary definition of weekly fiscal years. Set to TRUE in order to use CustomFiscalPeriods variable. Set IgnoreWeeklyFiscalPeriods to TRUE in order to ignore the WeeklyFiscalPeriods table generated automatically to manage Weekly calendars. You should set IgnoreWeeklyFiscalPeriods to TRUE only when UseCustomFiscalPeriods is TRUE, too. Defines a custom list of fiscal periods that could override the standard generation of weekly calendars. The definition should use the DATATABLE syntax. Download the latest version of the Reference Date Table template in the tool page.